Gruline is some 10 km. 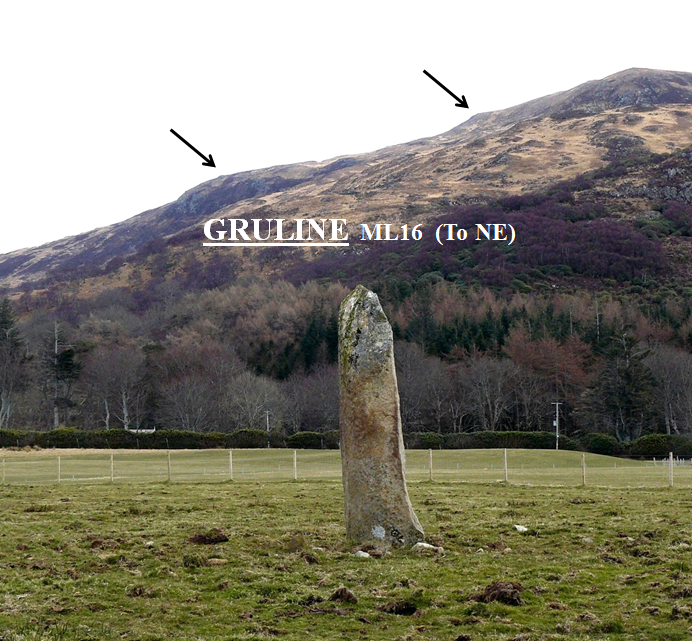 south of Ardnacross. The alignments found are as shown below. 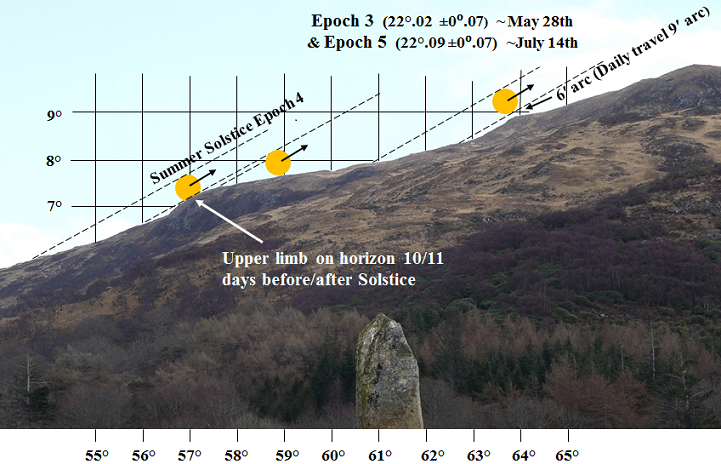 Note that the sun lower limb does not clear the skyline at the solstice, but ten or eleven days before and after the summer solstice the sun would just have been obscured behind the left hand bump. Twenty three days before and after the solstice (Epochs 3 and 5) the sun would just fail to reach the bump further up the slope.